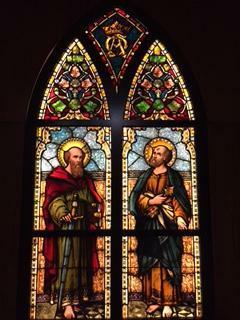 Gate of Heaven Cemetery boasts three beautiful stained glass windows that came from the now closed Church of the Assumption in Walnut Hills. 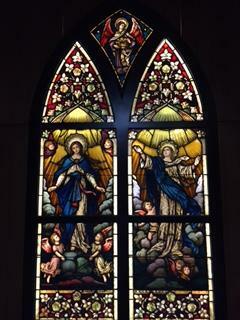 The windows are from the Franz Mayer & Company and Zettler Studios from Munich, Germany. 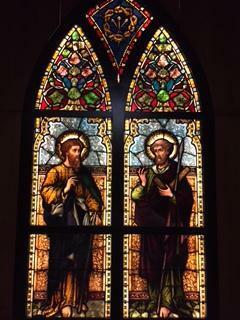 The windows are the namesakes for the three chapels, Virgin Mary, St. Joseph and St. Peter.